The country's officials may be chauffeured to work in new models of domestic ZiL luxury cars, exchanging them for the Mercedes and BMWs currently in use, Utro.ru reported Tuesday. Defense Minister Anatoly Serdyukov showed sketches of a new ZiL at a government meeting. In the sketches, the outlines of the old ZiL-41047 favored by Politburo leaders in Soviet times were easily recognizable. The new model would utilize modern technology and might cost even more than a Mercedes or BMW because of labor-intensive production practices, tabloid Lifenews.ru reported Tuesday. Today the ZiL plant mostly produces big trucks, and does not produce limousines or even passenger cars. Although there is no exact date for the mass production of the new ZiL, plant representatives say production could start immediately, Utro.ru reported. The Moscow-based Slava Saakyan studio created its own designs for the new ZiL last year. In a telephone interview, designer Svyatoslav Saakyan, a former designer at the ZiL plant, told The Moscow Times that it will take three to seven years to create his proposed limousine model from scratch, but a prototype could be ready in two years. 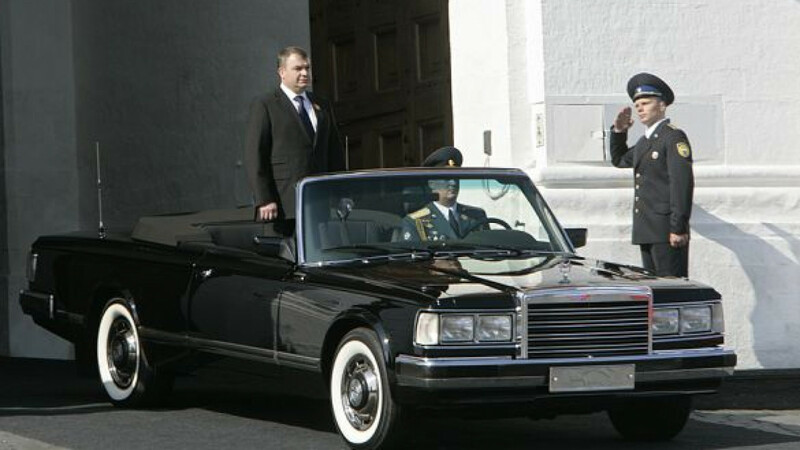 Viktor Khrekov, a spokesman for the Office for Presidential Affairs, told The Moscow Times on Wednesday that the production of a new ZiL limousine is not on the president's agenda. However, he added that the president was interested in the matter last year and had the plant make a proposal for renewed limousine production. Although those instructions were carried out, no agreement was reached with the plant since the plant's proposal was found to be unsatisfactory. The main reason the proposal did not pass muster with the president, Khrekov said, was that it envisioned "an old Russian-made car body with foreign inner parts."